I took some time to listen to the new Device album that came out recently by Disturbed front man David Draiman’s new side group while his main attraction is currently on hiatus. While this might help ease the general dismay of the Disturbed fan base, I would be remiss to say that this is anything short of its own animal with its own set of teeth. I had heard Device’s release of their single “Villify” on the radio the other day, and my curiosity prompted me to check out the new album in its entirety. I was expecting to hear what most would have thought about a David Draiman side project-Disturbed with a different cast. Well, why wouldn’t you? Draiman’s voice has become one of the iconic rock vocals of the last decade, so its relatively impossible not to think of Disturbed when you hear his earthy growls and aggressive approach. Nothing could be farther from the truth concerning Device’s first album. Draiman actually offers up a virtuoso outpouring of vocal ranges that Disturbed may have alluded to, but never explored fully. He actually harmonizes extremely well causing an eerie and haunting effect in some places with some aggressive upper register power rock. I have heard all of Disturbed’s albums, and though the influences are certainly there, this exhibition of Industrial rock hearkens to the likes of Marilyn Manson or Nine Inch Nails in nature. That is not to say the musicianship is strictly Draimans efforts as the constant tempo changes, gripping fretwork, pounding drum kit, and stellar guest performances seem to be a fantastic blend of harmonic aggression that often turns forlorn and even solemn. Many stellar performances and guest musicians offer up their take on seemingly an interesting idea. As if Device came to be an entity and asked some of the greats to throw themselves in and become a part of it for a moment offering their own viewpoint. It is better that they work well to complement the band without feeling stepped on as you might sometimes expect with a collaboration. With such well known musicians as Lzzy Hale, M. Shadows, Serj Tankian, Tom Morello, Geezer Butler, and Glenn Hughes lending a piece of themselves to each track, you get a lot of progression throughout the album, exploring many powerful avenues. I rarely ever like cover songs and I mean seldom, if ever. It always makes the listener hold it in contention in comparison to the original. If you were looking for the extremist example on this album to seem counter to what Disturbed is known for, check out the Ozzy Osborn/Lita Ford cover of “Close My Eyes Forever”. Featuring Lzzy Hale, it demonstrates the almost absurd dynamic differences between such tracks as “Villify”. Its easily one of the best cover songs I have ever been pleasantly surprised by. This whole album, from start to finish is a sound that never seems to stay the same. Track after track you get what can be perceived as Device’s sound, but it would be an insult to say it is formulaic. That is what I personally love about the work as a whole. It is distinct, but it refuses to get stale which might make some Disturbed fans a little edgy considering that it really is that good. It can play on the same level as a Disturbed album and some may even enjoy it more given its incredible range. In either case, let us hope that this is not a singular effort. 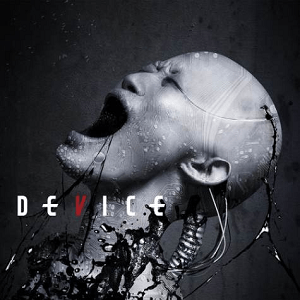 Though many are anticipating Disturbed coming together in the future ending their much touted hiatus, Device can certainly keep up and give you your rock fix in the meantime.